Syria Revolution Song: Will oust your system, Son of the filth! In sixth place: “The civilian closure has been lifted and only security restrictions remain”. Gaza is not as isolated from the rest of the world as it was a few years ago, but it is still cut off from the West Bank and it’s hard to find convincing security reasons why. For example, Israel prohibits students from traveling from Gaza to the West Bank – individual security checks are not even an option because the ban is sweeping. Israel does not allow goods from Gaza to be sold in the West Bank or Israel, while at the same time allowing exports from Gaza to Europe to be transferred through its own airports and seaports. It also imposes restrictions on the import of building materials into the Gaza Strip. The impact is felt mainly by international organizations rather than the local government, which gets all the cement, gravel, and steel it needs from the tunnels. Ongoing restrictions make it difficult for Gaza’s economy to recover, but they also split families apart and impede Gaza residents’ access to higher education and the opportunity to acquire training in a number of highly needed fields. In fifth place: “Israel gives Gaza money, electricity and water”. True, Israel does give Gaza residents electricity and water. That is, if by “give” you mean “sells”. Israel also does not “give” money to Gaza’s residents – it does transfer tax monies it collects on their behalf, although sometimes with great delay. In fourth place: “The Palmer Report concluded that the closure was legal”. The Palmer Commission decided not to examine the legality of the overall closure of the Gaza Strip and determined only that the naval blockade imposed on Gaza was legal. In its report, the commission included a recommendation for Israel to continue easing restrictions on movement “with a view to lifting its closure and to alleviate the unsustainable humanitarian and economic situation of the civilian population”. In third place: “Gaza has a border with Egypt, so Egypt should take care of the Strip”. Six months ago, we posted the top ten reasons why the opening of Rafah Crossing just doesn’t cut it. The list is still valid, but here’s the gist of it: Even if Egypt fully opens Rafah to movement of people and goods, this would still not provide a solution for the problem of movement restrictions between Gaza and the West Bank. The desire to push Gaza onto Egypt and therefore make it possible to cut the Strip off from the West Bank is a common one, but its implementation would entangle Israel legally and politically. In second place: “Israel disengaged from Gaza and all it got was Qassam rockets”. Firing Qassam rockets on civilians is an unjustifiable war crime. This much is clear. We should keep in mind that the rockets didn’t start after the disengagement from Gaza and that four and a half years of closure have done nothing to reduce the threat of rockets being fired from Gaza into Israel – but don’t take our word for it. As for disengagement, Israel did remove its permanent military installations and civilian settlements from the Gaza Strip, but did this really end Israeli control over Gaza? Try asking a Palestinian from Gaza if she feels that Israel has really “disengaged” from her life. She wouldn’t think twice before responding in the negative. Israel controls her ability to study in the West Bank, export goods, fish, farm her lands and visit relatives. True, it’s hard to imagine control of a territory without permanent military presence on the ground, but this is exactly Gaza’s unique situation today. And in first place: “Gaza’s residents voted for Hamas so they had it coming to them”. Hamas’ victory in parliamentary elections in 2006, shortly after the “disengagement” was met with surprise. Withdrawal from Gaza didn’t bolster those in support of the peace process as many in Israel had expected. Today, more than five years after the elections were held, they are still used as an excuse for the closure. First of all, it is important to stress that international law prohibits collective punishment of a civilian population and for good reason. Past experience has taught that civilians, irrespective of their political convictions, must remain “off limits”. This principle must be upheld in Gaza, in Israel and in all other places in the world facing conflict. While we’re on the topic of the elections, and to be accurate, the elections Hamas won were not held just in the Gaza Strip but also in the West Bank and east Jerusalem. It was more than a year after the elections, in June 2007, that Hamas took control of the Gaza Strip. No elections have been held in Gaza since 2006 and the debate between the various political movements in the Strip has been ongoing. One way of following this debate is through polls, such as those published by the Palestinian Center for Policy and Survey Research. For example, a poll from December 2011 shows that if elections for the Palestinian Legislative Council were to be held now, Hamas would get 35% of the vote and Fatah 43%. It’s worth recalling also that over half of Gaza’s population is below voting age. How can children be blamed for the outcome of elections in which they didn’t take part? An Israeli defence consultancy is assisting with dirty work in Colombia previously monopolised by the United States. Much fuss has been made in recent years in neoconservative circles in the US and among Israeli foreign ministry officials, regarding the danger to global security posed by an alleged Islamist infiltration of Latin America. A pet factoid wielded by self-appointed experts on the matter is that it is currently possible to travel by air from Caracas to Tehran with only one stop in Damascus. Lest policymakers and the general public fail to respond with adequate alarm to such news, the severity of the threat is underscored via invented links between Muslims in Latin America and every potentially unfavourable regional trend, resulting in a spectre of Islamo-narco-socialist crime cartels menacing the southern border of the US. “Over a three year period, Ziv worked his way into the confidence of former [Colombian] Defense Minister [Juan Manuel] Santos by promising a cheaper version of USG [US government] assistance without our strings attached. We and the GOC [government of Colombia] learned that Global CST had no Latin American experience and that its proposals seem designed more to support Israeli equipment and services sales than to meet in-country needs”. It is not clear why the US government should express surprise at the apparent failure to address “in-country needs” when its own Latin American experience includes the multi-billion dollar Plan Colombia, inaugurated more than a decade ago ostensibly as a means of curbing drug production and trafficking. In 2009, I spoke with farmers in the southern department of Putumayo who outlined in-country effects of the plan, such as repeated airborne fumigation of their subsistence crops, livestock, water supplies and children. 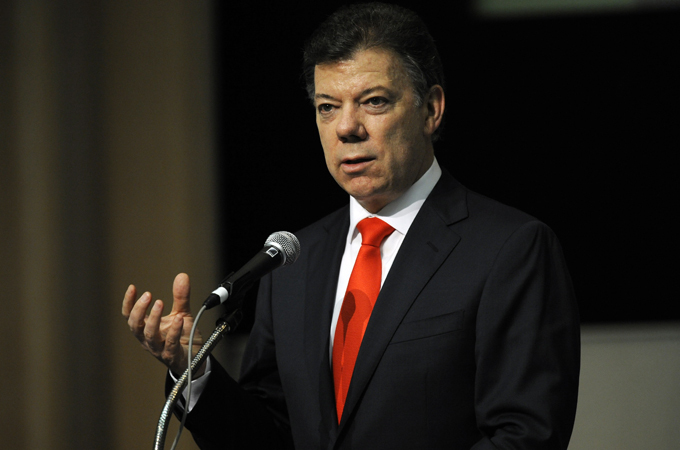 A substantial portion of Plan Colombia funds went to US-based private security contractors. Today, 97 per cent of cocaine that reaches the US reportedly hails from said country. As for the strings that are allegedly attached to official US assistance, Amnesty International has objected to the fact that “the State Department continues to certify military aid to Colombia, even after reviewing the country’s human rights record” – which happens to hold the distinction of being the worst in the hemisphere. “In February 2008, [Colombian National Police] sources reported that a Global CST interpreter, Argentine-born Israeli national Shai Killman, had made copies of classified Colombian Defense Ministry documents in an unsuccessful attempt to sell them to the [FARC] through contacts in Ecuador and Argentina. The documents allegedly contained high value target (HVT) database information. Ziv denied this attempt and sent Killman back to Israel”. Ziv’s denial becomes less compelling in light of the fact that Global CST has lent its services to both the armed forces of the nation of Georgia as well as to Georgia’s breakaway republic of Abkhazia. The firm’s peaceable aims are furthermore called into question by the arms and training it reportedly provided to the Guinean military junta responsible for massacring pro-democracy protesters in Conakry in 2009. Present on the board of Global CST is former Israeli Deputy Defence Minister Ephraim Sneh, whose recent efforts on behalf of peace have included defending the mass slaughter of Palestinians during Operation Cast Lead because Hamas had failed to “bring… investors to Gaza”. The former minister did not explain how investors were expected to navigate an Israeli military blockade when smaller items such as pasta and pencils were not permitted passage. The encroachment of Global CST into the imperial realm of the US government was facilitated by Juan Manuel Santos, current president of Colombia, who has explained that the firm was recommended to him during his term as defence minister by his friend, former Israeli Foreign Minister Shlomo Ben-Ami. In addition to a shared pride in illegal extraterritorial targeted killings, there are other reasons Colombia might qualify as the Israel of Latin America. For starters, the late Carlos Castano Gil – father of modern Colombian paramilitarism – acknowledged copying the paramilitary concept from the Israelis during a training excursion to Israel in the 1980s. In matters requiring the displacement of human beings from land, the Zionist example is undoubtedly invaluable, though the Colombians unfortunately lack the option of citing Biblical endorsement of territorial claims. In both locales, the liberal application of the term “terrorist” provides convenient justification for the elimination of excess sectors of the populace, be they Palestinians in refugee camps or Colombian peasants whose existence infringes on the designs of international corporations vis-a-vis area resources. That the death and destruction wrought by the Jewish state and the paragon of military-paramilitary collusion that is the state of Colombia quantitatively and qualitatively outweighs that wrought by their respective nemeses has meanwhile not jeopardised their positions as top recipients of US military aid. The necessity of casting victims in the role of aggressors has resulted in a range of creative military performances in both the original Israel and its Latin American apprentice. In 2008, Colombian soldiers were revealed to have murdered possibly thousands of civilians and then dressed the corpses in FARC attire in order to receive bonus pay and extra holiday time. Juan Manuel Santos was serving as defence minister under President Alvaro Uribe when the “false positives” scandal broke. Despite this and other details – such as that, since Uribe’s assumption of office, more trade unionists have been assassinated in Colombia than in the rest of the world combined – Santos managed to comment on the aforementioned Israeli television programme that fear “no longer exists” in Colombia and that “now we feel free”. As for Israeli military creativity, spokeswoman Avital Leibovitch explained in the aftermath of the 2010 massacre on the Mavi Marmara – part of the Freedom Flotilla endeavouring to break the Gaza siege – that the victims of the incident were not the nine slain Turkish humanitarian activists – but rather the commandos who had shot them. The Israeli Foreign Ministry dutifully uploaded a Flickr photo set entitled “Weapons found on Mavi Marmara“, which underscored the violent tendencies of the seafarers and consisted of images of water bottles, kitchen knives, screwdrivers, keffiyehs, and a slingshot decorated with pink and purple stars and the word “Hizbollah”. That the slingshot was not actually “found on Mavi Marmara” but rather resurrected from an irrelevant archive is suggested by the label accompanying the image, according to which “This photo was taken on February 7, 2006 using a Nikon D2Xs”. Colombians were given the opportunity to defend their position as the Israelites of Latin America when, upon completion of Uribe’s presidential term in 2010, he was recycled into the post of Vice-Chairman of the UN panel tasked with investigating the flotilla massacre. The resulting report – which determined that a group of flotilla activists had engaged in an “extreme level of violence”, and which upheld the validity of the Israeli siege of Gaza in spite of the UN’s own classification of the siege as illegal – presumably benefited from Uribe’s professed notion that human rights organisations often serve as fronts for terrorists. Defending her position as de facto Colombian paramilitary of The Wall Street Journal editorial board, meanwhile, Mary O’Grady reported an alliance between FARC terrorists and “peaceniks” in a 2009 article about the Colombian peace community of San Jose de Apartado, affiliated with various NGOs. The peace community, which I visited that same year, was founded in 1997 in the Uraba region in northwestern Colombia as a response to decades of armed conflict. Employing a system of collective work groups dedicated to the cultivation of crops ranging from miniature bananas to cacao, the community rejects collaboration with all armed actors: military, paramilitary and FARC guerrillas alike. Nevertheless, as of its twelfth anniversary in 2009, it had suffered 184 assassinations out of a population of approximately 1,500. Twenty-four assassinations have been attributed to the FARC, while the remainder is attributed to the armed forces and/or paramilitary formations. Such calculations render all the more ludicrous O’Grady’s advertisement of the claim that “the peace community helped the FARC in its effort to tag the Colombian military as a violator of human rights”. Community co-founder Maria Brigida Gonzalez – whose 15-year-old daughter Elisena was murdered in her sleep in 2005 by members of the Colombian Army’s 17th Brigade, which claimed Elisena was a FARC combatant – speculated to me that the ultimate purpose of such attacks was “to sow terror so that we all flee and the land’s resources can be exploited”. In a WikiLeaks cable from March 2009, the US embassy in Bogota specified that the region of Uraba was one of “17 strategic focus areas” within one of “two key swathes of territory” in Colombia where Global CST was assisting the Uribe government in “achiev[ing] irreversibility” in the battle against the FARC. Nine months later, the same embassy sounded the alarm that the firm had infringed on US territory. Whether or not Colombians start naming their offspring David Ben-Gurion, the fact that the country has been applauded by the US State Department and the Inter-American Development Bank as a regional role model in confronting security threats ensures the fortification of a system in which profits depend on the perpetuation of insecurity. Belen Fernandez is the author of The Imperial Messenger: Thomas Friedman at Work, released by Verso in Nov. 2011. She is an editor at PULSE Media, and her articles have appeared in the London Review of Books blog, Guernica Magazine, and many other publications. Maysaloon : If people were more cautious about laying the blame last time, there seems to be no hesitation in blaming the regime for this morning’s bomb blast in Damascus. Syrian television, with grisly voyeurism, appears to be relishing showing the blood and death that are the by-products of such bombings. Why are these bombings happening on a Friday? Why have they only started happening now that the Arab League observers are in Syria? So many questions and too few answers. I think the finger of blame can also go the other way, and whilst the regime could plausibly be behind the attacks, we cannot rule out rogue elements in the opposition. The fact that only hours beforehand, Colonel Riad al Asaad had warned of further attacks against the regime, has only stoked the fires of propaganda against the Free Syrian Army. Yet the fact remains, why would a suicide bomber carry out such attacks with such timing and limited success, when there are enormous pro-regime demonstrations that are held in the Ummayad square or in Aleppo? In fact, why is it only the anti-regime demonstrations that get shot at if the regime’s story of armed groups is true? Wouldn’t an armed group attack pro-regime demonstrations? Shouldn’t common sense tell us that a more sensational target would be the pro-regime demonstrators? Or perhaps carrying out the bombings on a day that would not distract from the anti-regime protests that happen each Friday? Finally, al Qaeda or any of these terrorist groups usually relish the opportunity to declare their responsibility, so why has nobody stepped forward yet?